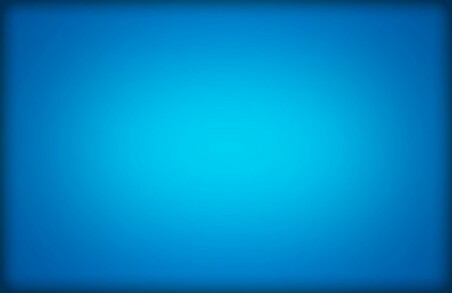 cars & trucks the easy way. 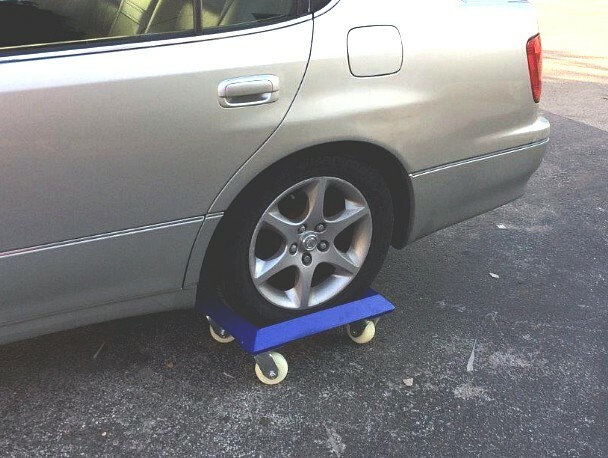 Move Any Vehicle In Any Condition With Wheels On Or Off Faster & Easier Than Ever Before Possible. 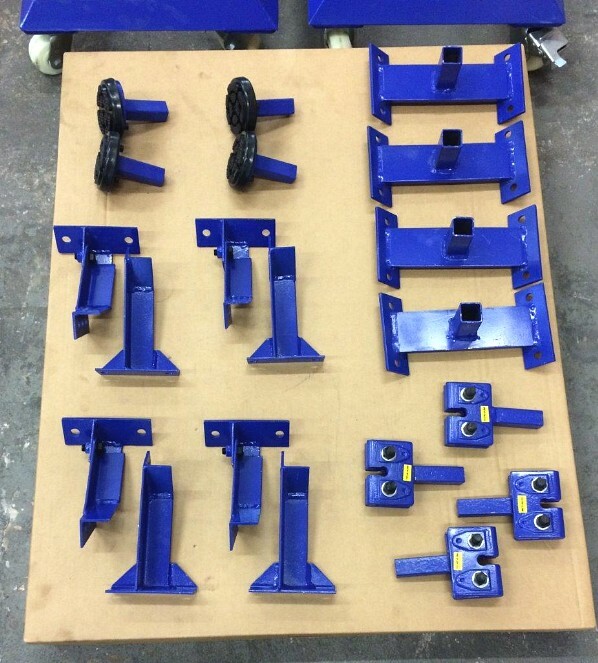 The deluxe mobile car wheel dolly station includes 4 universal dollies and full set of attachments consisting of 1- Pinch weld clamp, 1- Rubber pad, 1- Wheel stud mounting bracket / all are included with each dolly. 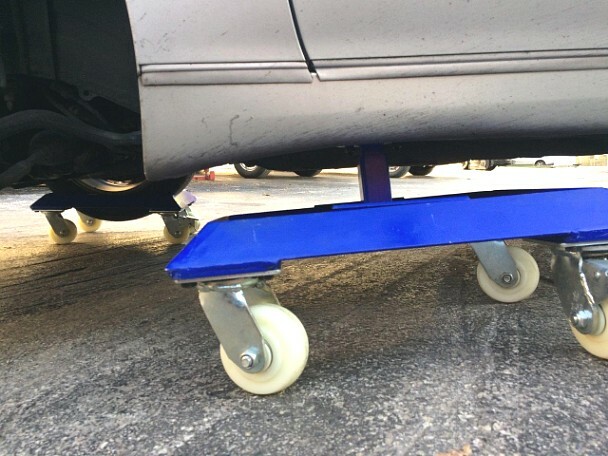 Each car dolly is rated at 4,000 pound capacity. 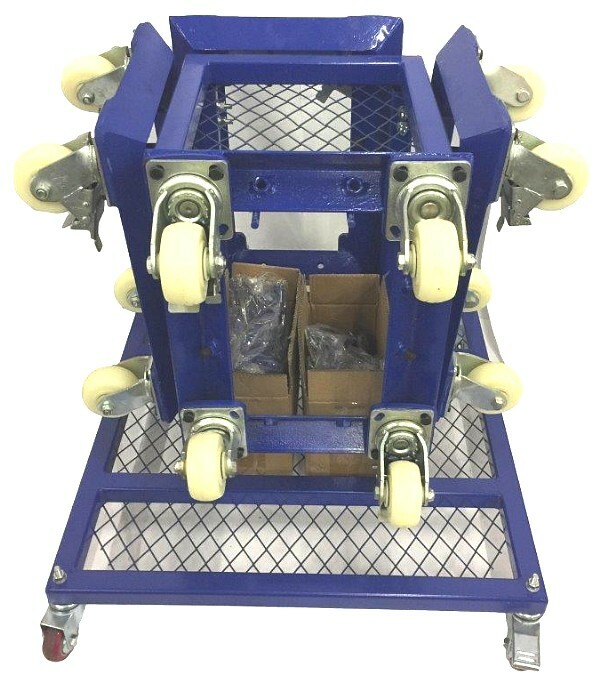 Solid heavy duty casters, 2 are locking for safety. 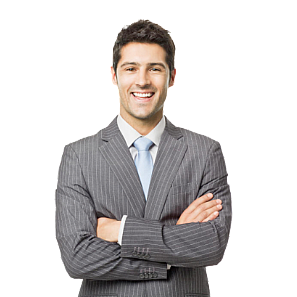 Can attach to vehicle in the following ways. With tire on / straight into dolly. With tire on or off / place onto rubber support pads. With wheel off / attach to threaded studs. With wheel on or off; attach pinch weld clamp to uni-body rocker pinch weld. 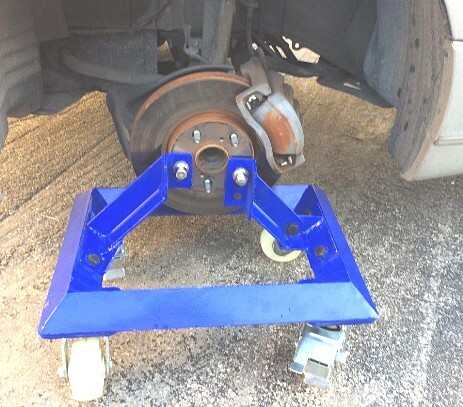 Can be used with almost any vehicle, it's the smart and safe way to move vehicles around the shop. 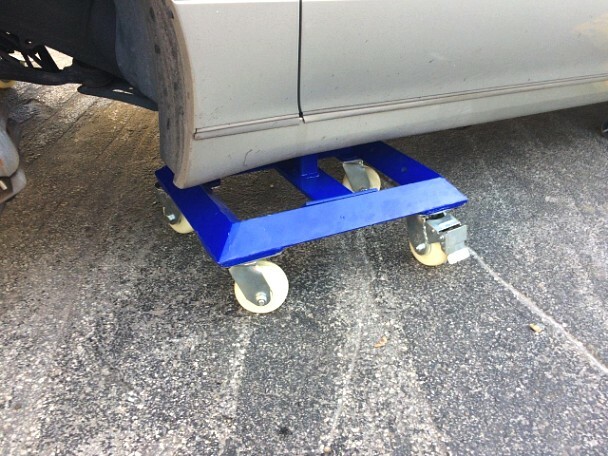 Drop the wheel on the Universal Car Dolly and Go! 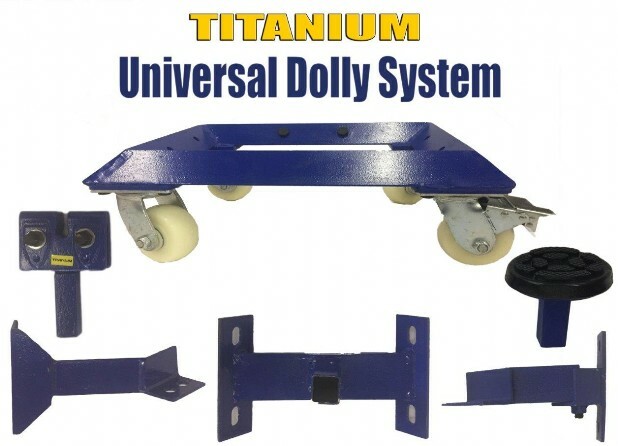 The versatility of the universal dead car dollies will end useless manpower labor efforts and lost time struggling to move immobile cars & trucks. 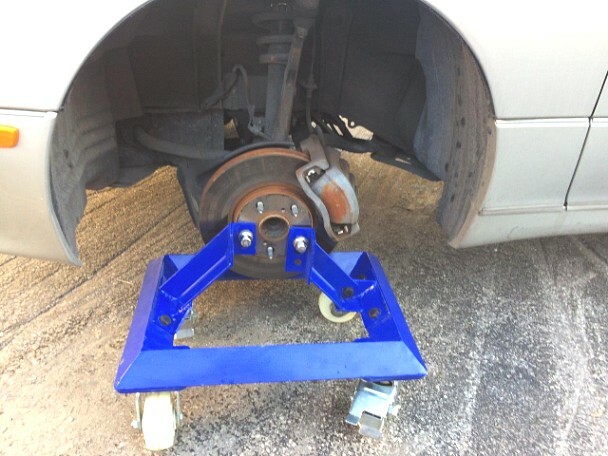 No matter what the vehicle condition is in with wheels on or off you have four ways of quickly moving those heavily damaged or mechanically inoperable vehicles. 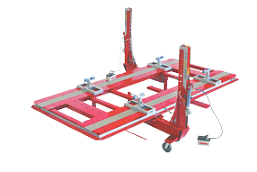 In the body shop you'll have a big advantage getting that dead vehicle onto your frame machine in a safe and secure manner.